ScopConvert™ module is a solution which allows to take existing documentary data flows previously composed by any market composition tool. 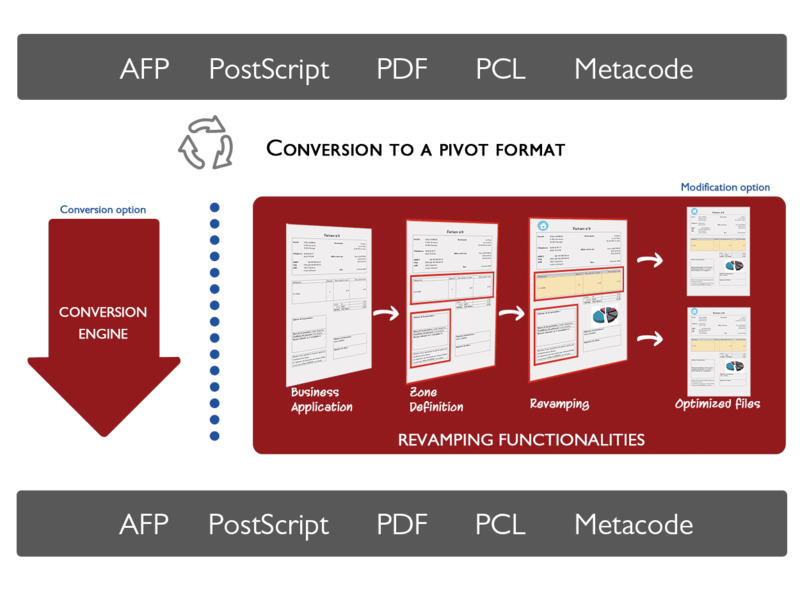 ScopConvert™ takes documents from various protocols (AFP, PCL, PDF, Metacode, …) and normalize them in an internal format. Once normalized, the documents can be processed for various modification operations : Unusable content deletion, composition modification, enlightment through objects add-on. You want to get more information ? © Copyright 2018 DATA SYSCOM. All rights reserved.